From starting off with shooting one video every few months, to shooting a video weekly. I sat down with James Clarke, one of the main heads behind the OpenBin Media Productions. A Dublin based videography company who are responsible for some of the best Irish Music videos that have been released over the years, from Music videos such as Versatile – Ketamine and documentaries with the likes of Mango X MathMan. So what is OpenBin Media? OpenBin Media is a videography company based in Dublin. Its run by me, James Clarke and David Deehan. We had a passion for creating films whilst we were in Ballyfermot College, so as soon as we both finished college we decided we wanted to work in this field for ourselves. We came up with the company OpenBin Media and started creating special content for each and every client we get. Our main attraction is our music videos, although we have shot a numerous of short films, documentary’s, corporate videos and hopefully in the future, weddings. When did you decide to start up your own Company? We started our company in the summer of 2016. It was a slow start, but it eventually paid off! I personally started off 3 years ago filming skate videos. I was always out skating, and in our group, we were always filming clips, so I thought it would be good to get a simple camera set up to film. I first picked up a canon 600d and a cheap amazon fisheye and tried to shoot as much content as possible. These skate videos were being published to the youtube page of ‘Clarkeeskates’. Unfortunately, I had started my first year in college and skateboarding had slowly gone off the map, but whenever I have a free day from my schedule, I try get out for a skate. How many people work for OpenBin Media or is it just yourself? When we started OpenBin Media, we never thought we’d get to where we are now! We started with David and Myself and now our team has grown to 4 people! Now our team consists of Me, David Deehan, Cian Redmond and Alex Sheehan. We work great together! We are also constantly getting emails off people looking to join our team! What projects does OpenBin cover? So as I stated earlier, our main projects are music videos. These music videos consist of a broad range of artists including rappers, singers, poets, bands and many more. We do however shoot more than just music videos. We’ve shot a couple of Short Films during last summer which are currently doing the rounds in film festivals. These were a great experience for us! Our first documentary was also released earlier this year, Mango x Mathman Wheel Up Doc. We were put to the challenge to film a documentary in one day and we got it done. I think it was approx a 14/15 hour day but a lot of help came from the free ‘Jamesons Whiskey’ on the night. Lately we’ve been getting a lot into the corporate side of Filmmaking. We have shot a few small videos for restaurants and nightclubs around Dublin and they’ve been very happy with the end results. Can you give us an example of some of the work/clients you do? Of course! 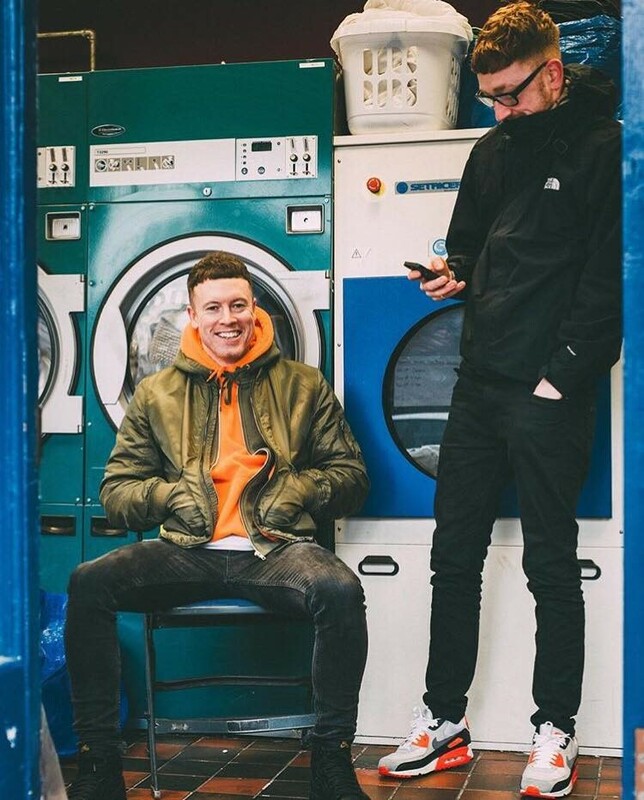 OpenBin are probably most known for their videos they do with ‘Versatile’ The Irish Rap Group Duo. These videos get approx 500,000 views each. We started working with Alex and Casey about 1 year ago. From filming a small scene in ‘Dublin Dynasty’ to become their cinematographer for ‘Ketamine’. It’s always great working with these lads and they’ve been a great help to our company. Mango x Mathman have also helped us a lot, We’ve shot a couple of videos for them at Metropolis Festival, The Bernard Shaw and the National Concert Hall Dublin, also if it wasn’t for them we wouldn’t of made our first documentary. So much thanks to both the lads. P.S. I think it’s time Mango got a new music video out. We’ve also worked with a numerous amount of artists and business’s around Dublin including: Josh Gray, Yamamori, The Grand Social, Menspire, Dania, Ciaran Moran, Into the badlands, Bank Of Irelands ‘Tech for Homeless’ Event, Aayush Mann Productions and many more! The answer to that is yes! We are always working on content for our clients, whether big or small. Here’s a few that’s coming up. We are flying off to Cambridge next week for our first music video outside Ireland. We are shooting a video for a band called ‘Mad Mary’ and are really excited for it, although we hope the weather stays good! One of our biggest projects is actually coming up in the middle of May. We got the opportunity to fly to Manchester to shoot a video for ‘Defected Records’! This will be a great opportunity and hopefully we’ll have the chance to do a lot of networking. We also have a commercial coming up at the end of April. This is for a company called ‘Mini Arcade Systems’. Really nice guy btw! Besides them, we are always out working with clients whether is be on a shoot, pre production side of things or even post production side of things! Sometimes we might even have a pint or two when the project is finished. What are your plans with the company? My plans for the company? Where do I start? I want to make OpenBin Media one of the best Videography company’s in Ireland! There is a lot of great competition out there, but I feel with hard work we can really make it happen. I plan on shooting a feature film in the future and having it shown in the cinema. One day hopefully open up my own film studios ‘OpenBin Studios’, has a twing to it doesn’t it? I plan on expanding OpenBin throughout Ireland, Dublin, Cork, Galway and Belfast! I plan on keep going how I am, from starting off with shooting one video every few months, to shooting a video weekly. I want to expand the team, make an army. From starting out with having a cheap dslr camera and plastic amazon fisheye, to having to get built a special ‘Hole in the wall’ to fit all our equipment. I want OpenBin Media to be recognized throughout the world and I want to keep going at the growing pace we are now and one day make it! FAC Checks: West London rapper Skrapz on his visit to Dublin, courtesy of Grey Matter. Some night boys! FAC Focus: Dirty 17, the DJ duo and clothing brand from the northside of the city. Artists, musicians, videographers and more are assembled in this ambitious video showcase, curated by Brownsauce. ‘Somewhere In Ireland’ is an expansive collaboration, confidently confirming the depth of talent in Limericks creative scene. Tribal Dance just released their new single “And Then All That Was Left Was A Physician And A Silhouette” on Bad Soup Records. Ahead of their headline gig in The Grand Social on December 7th, we sat down for a chat to discuss the ups and downs of life in a band. FAC Focus: Graphic design student Farouk Alao talks racism, confidence and it’s effect on his career in the modelling industry. “Graffuturism is painting pieces that don’t follow the written rule book of graffiti”. We chatted to ATMOS about his fresh painting style, his inspirations, and the future of the Irish scene.